Quality Assurance at Citizen Metals Pvt Ltd. starts with understanding the Customers Requirement and continues till the customer is completely satisfied with the delivery of products and services. 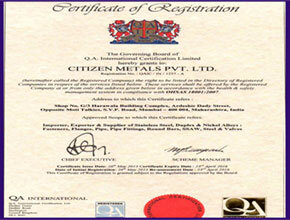 Quality Control procedures are well defined and thoroughly implemented. 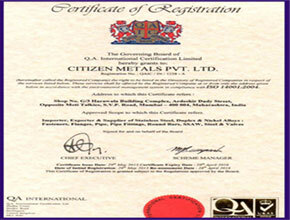 Citizen Metals Pvt Ltd is built for result oriented work culture, to fulfill customer’s needs in terms of Cost, Quality and Delivery. By enhancing effectiveness of people and plant equipment safely we are aiming towards zero losses. We also believe in continual improvement for effectiveness of Quality Management System through Team Work, Training and Focus on Actions and Results. We aim at achieving maximum satisfaction of our valued clients by offering them with the optimum quality of products. 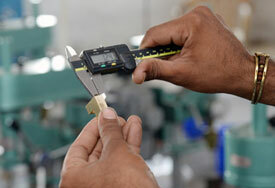 For this, we strictly follow quality measures and procedures. We have a sound infrastructure. Our spacious warehouse has the capacity to store large quantities of products. We possess a team of experts who are sourcing products of international standard to keep abreast with the global markets. 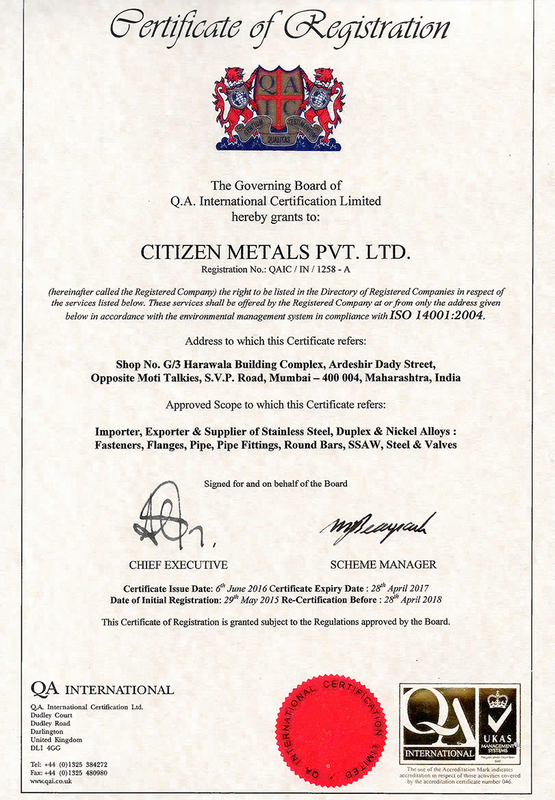 Our quality professionals have served as a beacon not only for us but also for the entire industry in establishing top-notch quality standards. Provide technically sound solutions and create additional value in mutual interest with our customers resulting in being a preferred manufacturer within the manufacturing industry.